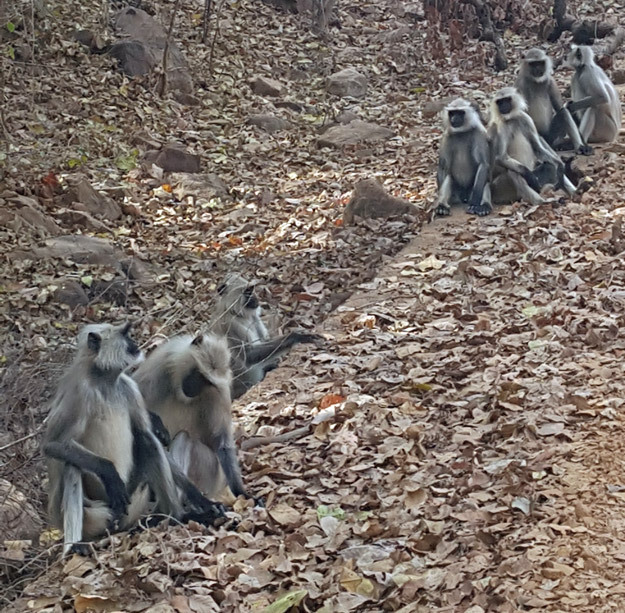 Some of our staff are currently exploring the delights of Ranthambore National Park on an escorted tour of India, where they are learning why India is the destination of choice for so many in 2017! A county full to the brim with a unique culture, vibrant colours and architectural charm, read their thoughts below to inspire you on your own India tour. 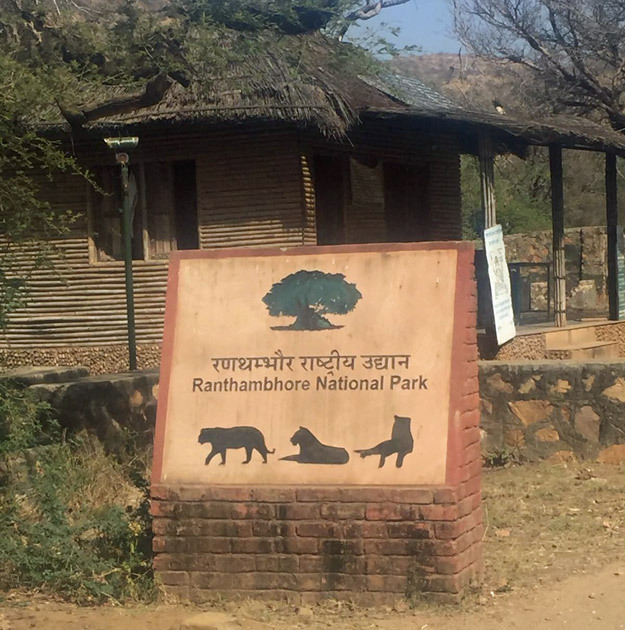 Our journey to Ranthambore began! We had just finished standing in awe of the iconic Taj Mahal when we hopped onto our air-conditioned minibus for the journey to Ranthambore National Park. 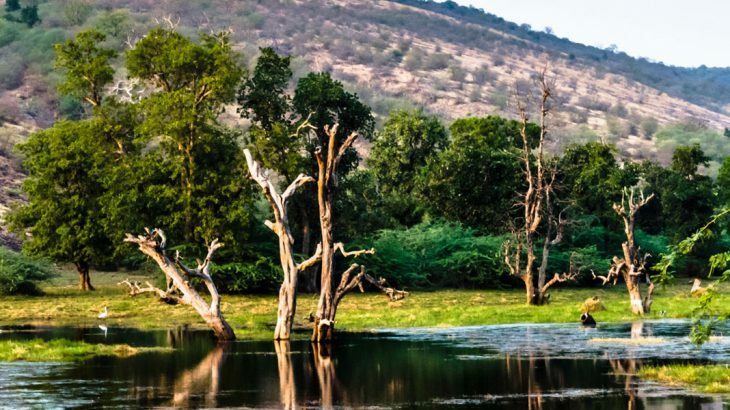 It’s the former hunting retreat of the British Raj and one of the best places in India to see the elusive tiger. 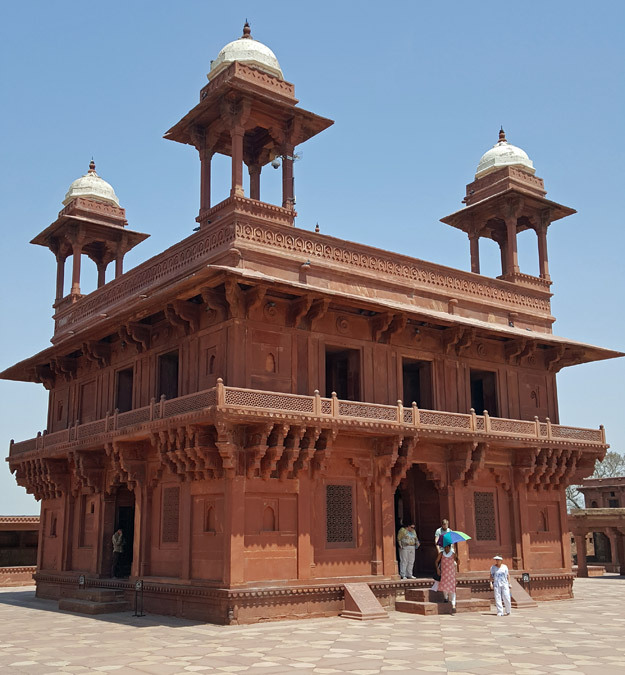 However, there was one more iconic sight to see en route and that was the ghost city of Fatehpur Sikri. Once the capital of the Mughal empire, this ancient city was a sight to behold. We saw the former bedroom of its founder, Emperor Akbar the Great, who was known to have many wives in his harem! 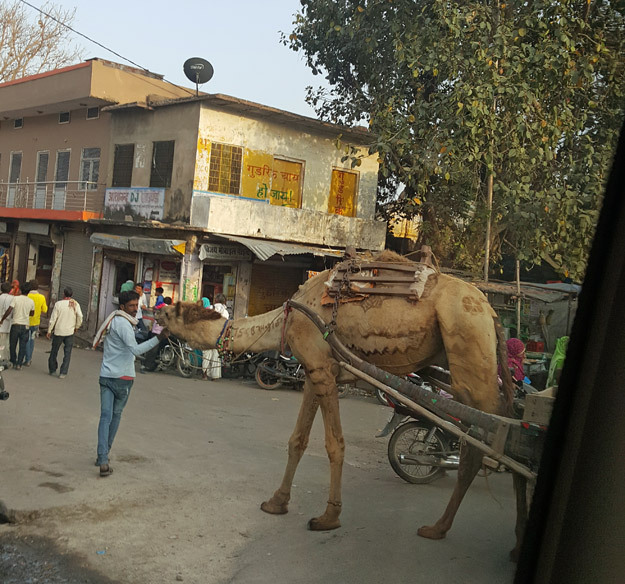 Next we continued on our journey to Ranthambore and wow, what an opportunity to see the charms of India pass you by from the windows of the coach. First, let’s talk about the animals. Everyone always thinks about ‘cows’ when they think of India and this is not wrong. The ‘holy cow’ is so revered in India that they walk down the middle of the motorway without a care in the world! We were told by our guide that for every two people in India, there is one cow! And there were not just cows in our view from the coach window; dogs, pigs, goats AND camels were everywhere! Next there were the people! A myriad of colours, noise and culture, you could witness people dancing, singing and celebrating weddings in the streets at every turn. Finally, there were all kinds of transportation, from tractors to camels to double-decker coaches. Two odd ones stood out especially: one was a standard van so overloaded that it resembled the peach in ‘James and the Giant Peach.’ The second was colloquially known as a ‘mish mash’ – it almost resembled a tractor but was set up with a self-powered generator for a cheaper alternative to a loading van. This vehicle received its nickname due to its odd mix of car tyres, tractor fronts and colourful design. We eventually arrived at the Tigress, a beautiful 4-star property next to Ranthambore National Park with a mix of villa and suite accommodation. We were welcomed with the traditional greeting of ‘namaste’, a bindi and a welcome mocktail. The next day we headed out on our first game drive. 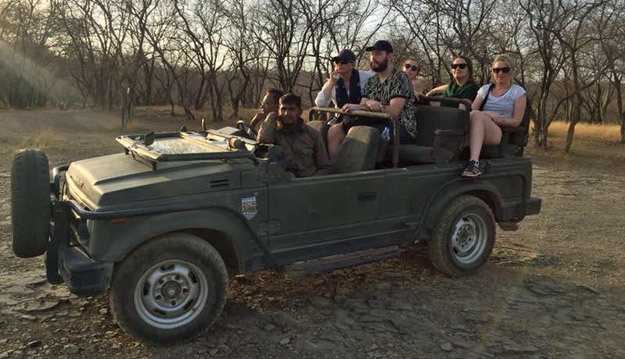 It was an early start and after a lovely breakfast, we jumped into our six-seat safari jeep. Our journey to see the tigers began! We headed into the baron landscape. Though empty of foliage, this landscape was perfect for tiger-spotting as it provided less camouflage for the elusive tigers. Lo and behold, within an hour there he was! 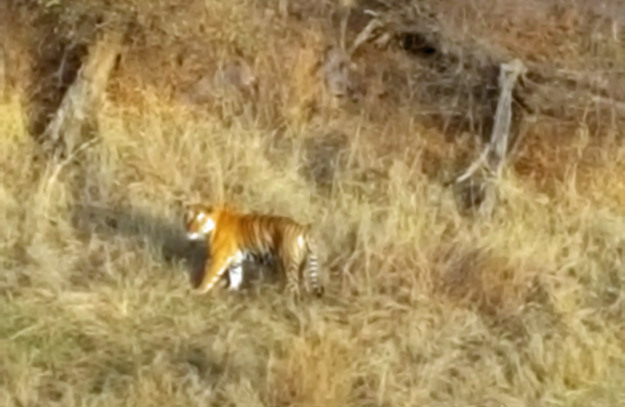 He was called Krishna and code-named T64; a large male outside of his territory, not often sighted. Marking someone else’s territory, Krishna continued his journey into the bushes, not to be seen again. Though brief, the memory will last for a lifetime. Heading back to our hotel, we saw a number of other animals living in the park, from monkeys, samba and spotted deer to an array of bird species, crocodiles and warthogs. The scenery truly mirrored that of the Jungle Book: a once-in-a-lifetime experience. To top it all off, on our return to the hotel we enjoyed a lovely cup of Marsala tea as we sat by the stunning swimming pool, discussing the morning’s wonderful events. 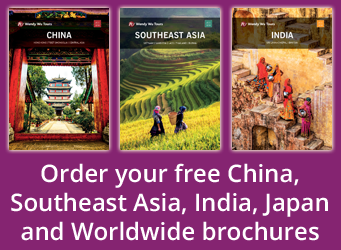 Book your India tour with the UK’s leading Asia expert, Wendy Wu Tours. We offer fully inclusive, escorted tours that visit all the major sights for an unforgettable India holiday. India nature, photography, sightseeing, top things to see. permalink.